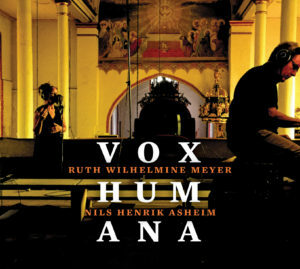 A project with the famous Norwegian organ player and composer Nils Henrik Asheim and the multi vocalist Ruth Wilhelmine Meyer. New CD released 14th October 2018. On the basis of sacral tunes from different origins, they are searching for a related sonic world between organ and voice.